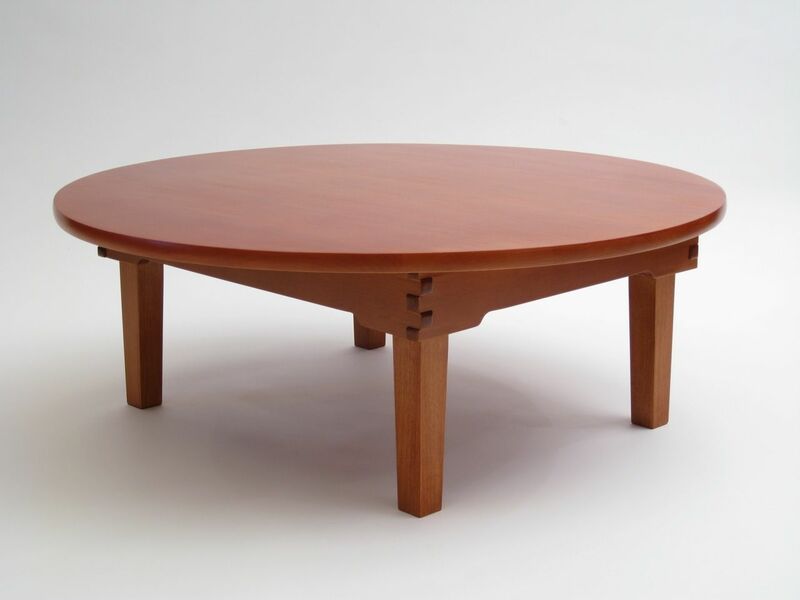 This is a low table, built as a Japanese Chabudai. 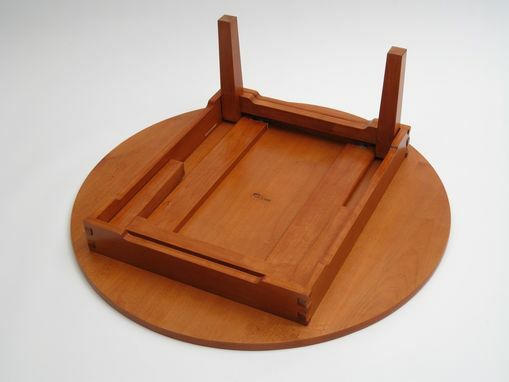 It uses the traditional method where the legs unfold from underneath and lock into place. 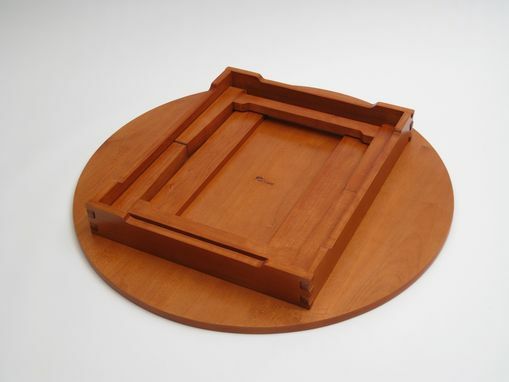 My client asked that it weigh 26lbs, so I built it of Alder and stained it to appear to look like Cherry. 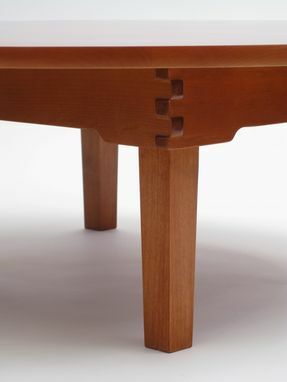 I think it would look very nice in real Cherry as well as Walnut, or maybe quartersawn Ash. 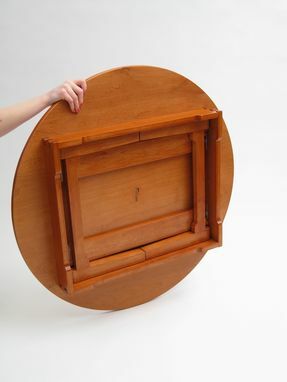 Dimensions: The table is 36" round, and stands just over 13" when the legs are unfolded. It's about 4" tall when the legs are folded under.